PXR Live hip-hop night May 1st “May Day” event! 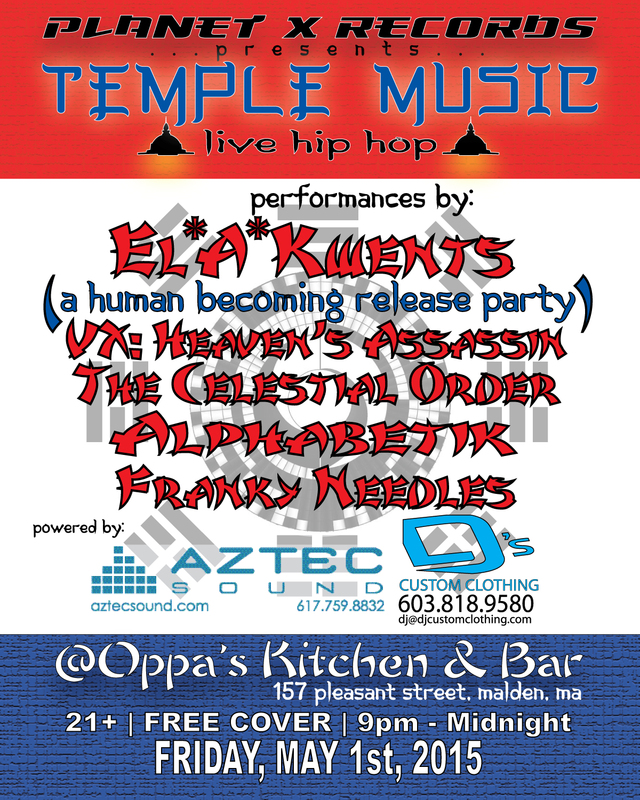 Come out for the EL*A*KWENTS of PXR “A Human Becoming” LP CD release party! Also check out “A Human Becoming” on Bandcamp! The post PXR Live hip-hop night May 1st “May Day” event! appeared first on The Crypt. This entry was posted in Boston Rap, Live Performances on 04/08/2015 by vega.